Having spent part of his childhood in Africa, Lord Burnett, the Lord Chief Justice of England and Wales, returned to the continent to deliver a keynote speech. 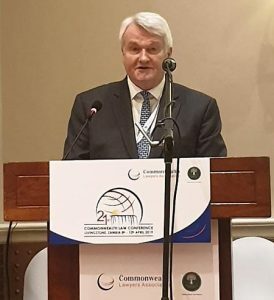 His speech ‘Parliamentary Privilege – Liberty and Due Limitation’ was the opening talk at the 21st Commonwealth Law Conference in Livingstone, Zambia, earlier today (April 9 2019). His full speech can be read below.